As I gaze out over the peaceful turquoise waters that lie directly in front of my balcony I realize how fortunate I am to be here in the Bahamas far away from the calamities of war. Here, the essence of nature permeates my every breath. 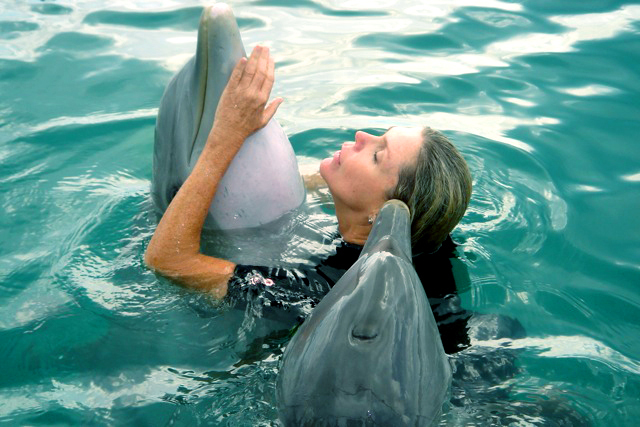 As I stare at a stingray passing, as I dream of swimming with dolphins, I see the sacredness in each living creature. I recognize that the same sacredness is in me, in all human beings. I really think this knowledge was imparted to me by my grandparents, Edith and Walter von Sanden and my mother, Owanta. They had such an intimate connection to the land in East Prussia, to the forests, the roaming elk, even the smallest dandelion in the meadow. They taught me about these things.They knew that nature could bring me to stillness, to another dimension of awareness.